Try serving with a green harissa & preserved lemon couscous. Reared with care by farmers who share our values. From a long established group of carefully selected British beef farmers and suppliers who share our values and commitment to: Delivering the highest animal welfare standards. Producing high quality beef, expertly prepared and matured for tenderness and flavour from prime cattle. Working together to protect our environment and promote sustainable farming. 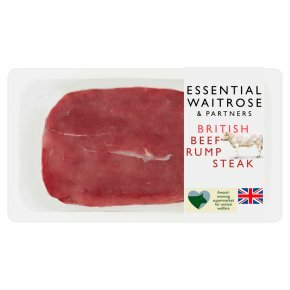 Were always looking for ways to reduce our environmental impact, which is why were moving to this packaging on a selection of fresh meat. It reduces the amount of plastic and gives you an outstanding quality product. With benefits that include: - Reduces waste - Easier to store - Improved eating quality.